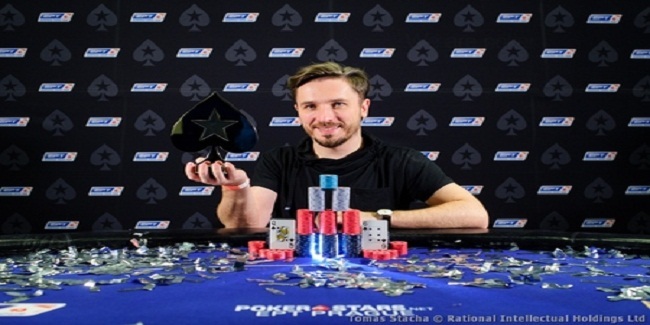 A Polish native and a PokerStars pro Hubert Matuszewski is the new winner of prestigious Eureka6 Prague Main Event. 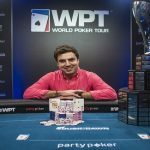 He collected a handsome amount of €193,298 as first prize, while Lithuanian Vladas Tamasauskas becomes the runner-up of the event and pocketed an amount of €188,157. A three way deal took place among remaining three players and they were Hubert Matuszewski, Vladas Tamasauskas and Alessandro Giordano of Italy. The €1,100 buy-in event took place from December 09-13, 2016 in Prague and attracted 2,030 players from all across the Europe. The tournament’s total prize pool was €1,970,070. Top 391 positions of the match took home some amount of money. Matuszewski won the match defeating Vladas Tamasauskas in a marathon final table session. 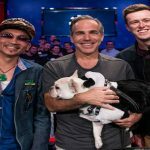 The season of Eureka poker tour is being a massive one. Final table of the game took place after a pro named Jan Susicky busted to 10th position. He fell behind just two spot and couldn’t connect to Final table, though he earned €16,030 from the game. Another man busted today before final eight began was Piotr Romanczukiewicz, who made €22,500 from the tournament. The first player hit the rail at the final table of the game was Jawad Bengourane. 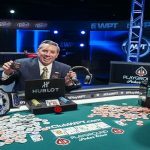 A pro poker player from Poland and a PokerStars pro made €22,500 from the table for his eighth place. Jawad Bengourane from France Live satellite winner becomes next man to move out. He closes for €31,840. 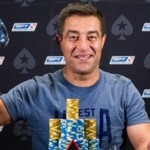 A US pro James Juvancic got busted to sixth place and made €45,030 from the game, while fifth spot of the tournament belongs to a pro poker player from Czech Republic named Vojtech Horut who received €63,680. Bulgarian Rosen Angelov got out to fourth place for his total share of amount €90,070. When three players remained in business, they decided to close a deal through ICM Numbers but it couldn’t happen and game started taking place as usual. After two long hours of play they decided to move on with Vladas Tamasauskas would get €188,157, Alessandro Giordano would get €180,694 and Hubert Matuszewski would get €193,298.